The thought has struck me too! Somehow even the original teenager room looks beautiful in the drawing. However, to me that is a bit of a relief. I am sure you could find stuff in the 3D warehouse if you look for specific stuff. As I am finishing the storage room project, I found some other stuff related to storage. A wheelie bin, garden storage box for cushions etc . I made three plain storage shelf racks based on the most common inexpensive models available in local DIY outlets (around € 25) - just to test whether and how they would fit in the wardrobe. Two wood, and one metal/wood. For instance, recently I was in the market for a bed -- and, as one might expect, began by searching for 'bed.' Once I found a likely candidate, I made certain to open any "collections that contain this model," as listed towards the bottom of the page. Quite a few of the bed- or bedroom-oriented collections contain models of bedclothing alone or of an item of bedclothing lying in a heap. In addition, there are several bed models that include a bathrobe tossed casually across the bedspread that presumably could be extracted and used elsewhere, as well as a number of models labelled "unmade bed," "badly made bed," and the like. 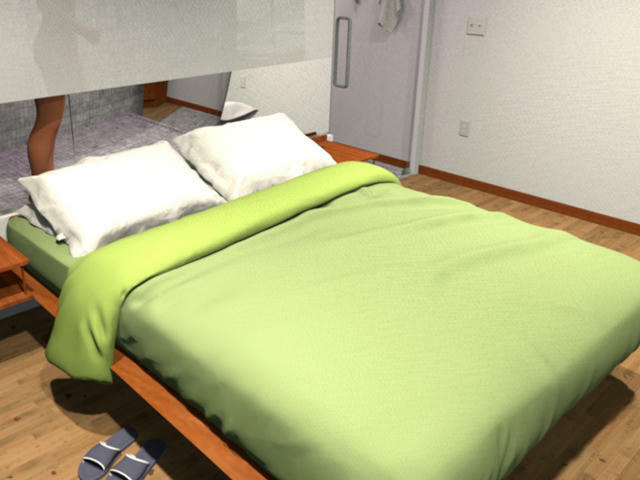 One caveat: Most disorderly, complex Sketchup models -- for instance, those of pillows or bedclothes -- if simply imported directly into SweetHome3D will render as a fragmented patchwork of (typically) the material color and white. This is because the surface of the item will often be a hodge-podge of Sketchup primary and secondary faces. 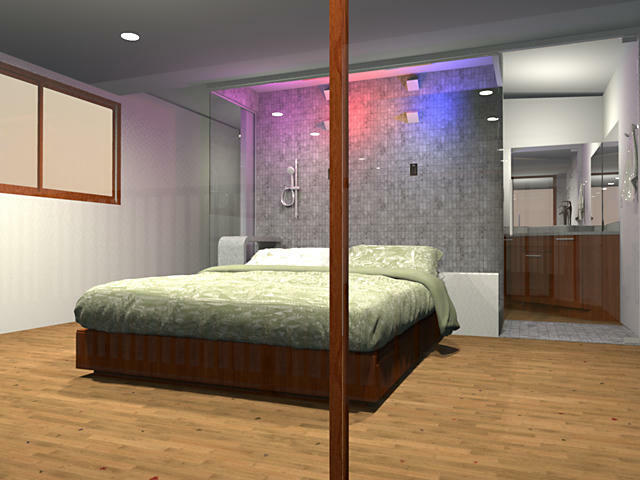 In Sketchup, as long as all outward-facing, um, faces are uniformly colored, the object will display as a solid color; however, sh3d will display each component face that makes up the surface in its assigned color. 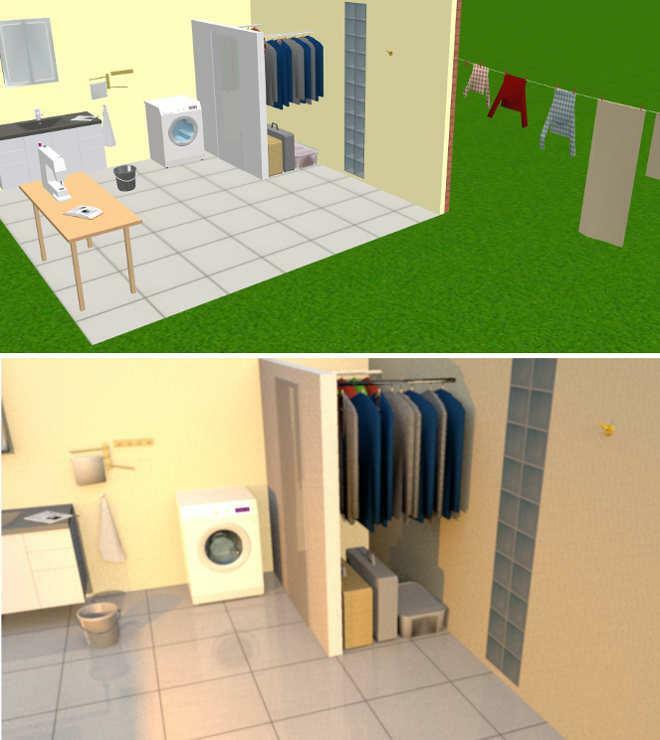 Most Sketchup objects have faces with one colored face and one unassigned or default face; sh3d renders default faces as white, resulting in the material-color-and-white dappling. Fortunately, a simple fix for this problem exists: Rather than downloading the object in its already-exported KMZ or Collada format, instead download it as a Sketchup object. Then, using Sketchup or Sketchup Make (available for free), open the object, select the surface in question, and color all of its faces, primary and secondary alike, uniformly. 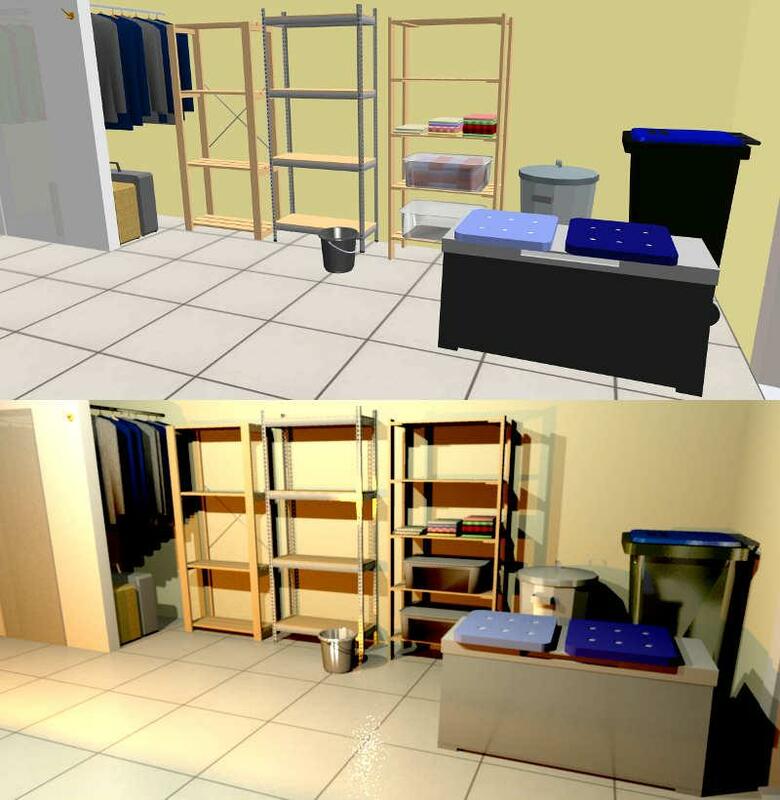 After eliminating its undefined faces, export the model as a 3D object (typically in KMZ format) and import that object as a new item of furniture into sh3d. Fortunately, only the barest of Sketchup proficiency is required to carry out these steps. Sketchup has an admirably intuitive UI; typically, to correct such problems, all that is required is to repeatedly click on the desired surface until it is selected, as indicated by its being shown with a grid of tiny blue dots overlaid upon it. At this point the Entity window (Window > Entity) should display two rectangles labeled 'Faces'. Clicking either of the rectangles will open a drop-down menu showing each color or texture currently used by the model; scroll throw the swatches until you find the desired color or texture; select it; and click 'OK.' Repeat for the other face. For use with SH3D, watch out for size. Thanks. Since these few weeks I was explored the 3D warehouse and I found many really nice models. I see how you mean watch out the size. Some huge one makes my renders slow as hell. I still can't find any of my original wish (clothes on the ground like a drop down shirt or trousers) I tried to watch in collections as most of the search just gave me unrelated results... actually finding a single office chair is hard when you just put in office chair, you should work hard for the better ones ;). And of course thanks for the tips I learned a lot from you guys.